Follow Us on Facebook, See NYFC Photos, Past Division Results, the NYFC Promo DVD & Explore Great Fundraising Ideas! The Most Recent Results for the NYFC! Here are the BEST Fundraisers For Your Program! Welcome to the Social Media Home Page for the NYFC. This page is the home information section for the Social Media contacts in use for the NYFC. With many NYFC teams attending the event far from home, SNI tries to close that distance by keeping their followers back home informed and connected regarding their team's exploits at the NYFC before, during and after the event. Registration Day can be quite chaotic checking age and weight items for all teams, getting the shirts, medallions, patches, discount coupons, and answering event questions. That said, we start the picture taking for our social media on that busy day! The NYFC website is largely info based and not designed to be "timely". During events, the website changes little. For more timely information, the NYFC largely concentrates our efforts on keeping the National Youth Football Championships Facebook page filled with new information. This can be in the form of message blurbs on exciting game happenings, recent scores, action photos, etc. SNI has recently begun using Twitter for a bit more topic info. However, please do not expect everyone to be tweeting and tweeting! We like to see our pages filled year-around with general event information and entering team info as groups call with information and stories about their season and their preparation to attend the NYFC. These are in turn posted on-line for all of the NYFC teams to view. We welcome the players, coaches and parents to join the NYFC Facebook page to make your experience at the event fun and remembered! During the event, the staff of SNI does their best to get a good bit of information on NYFC Facebook in a very timely manner. However, the time pressures and deadlines of running the competition can often make this information sporadic at best and it is generally done late in the evenings when the scores come in or between running to fields. Most SNI members get roughly 4-5 hours of sleep a night, staying up late to compile game results, get the books and backpacks ready for the following days games, then getting up early, briefing stadium personnel and seeing them off to the fields. Largely, the NYFC Facebook page is made special during the event BY THE ATTENDEES! Attending teams have parents, coaches and other followers that make on-line Facebook posts throughout the weekend with general game information, game & team photos, and other posts about fun things they are doing, great places they are eating, seeing, etc. NOBODY CARES MORE ABOUT PUMPING UP YOUR TEAM THAT YOU! 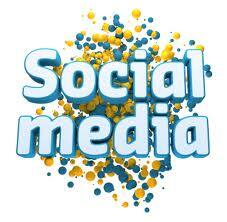 Talk to your parents in advance regarding who wants to be the SOCIAL MEDIA GURU! If your team does not have one already, you need your OWN Facebook page. Make several trusted people administrators and monitor the posts to ensure they meet with your standards. WE at the NYFC hope you will connect to the NYFC Homepage on Facebook and contribute to the vitality of the event and publicity for your team through your posts. We will be looking at your pages for sure! Your efforts make your entire experience interesting and fun !